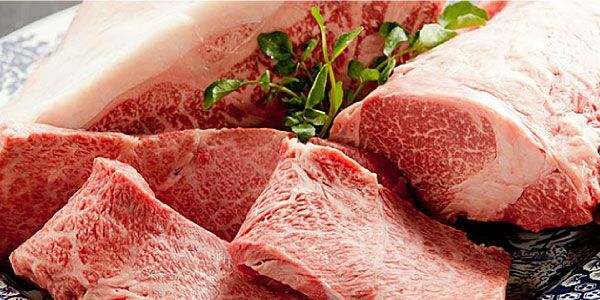 Mikuniya purchases half of a cow from “Ueda Chikusan” a specialist in the raising of Wagyu (Japanese black cattle). Ueda Chikusan has many years of experience and research when it comes to raising healthy, happy and delicious Wagyu. From their livestock only 2 to 3 heads of cow are chosen a month as champions, Mikuniya purchases half a head from one of these special champion cows. The vegetables and rice featured on the menu are also seasonal and are locally grown. 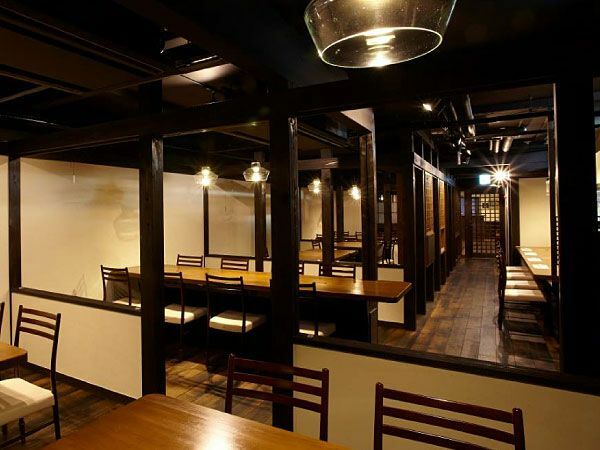 A quiet restaurant located above street level along the main street that runs out past Kinosaki Onsen Station. The wooden interior with a feel of traditional Japanese architecture in a modern setting gives the restaurant a calming atmosphere. Lunches are served daily and you can choose from a variety of set lunches or order individually. A recommendation is the Tajima Beef Steak Set that comes with a starter, salad, Tajima beef steak (size of your choosing), rice, miso soup, and dessert. Other sets include the Tajima beef curry set, Tajima beef stew set, Tajima beef cutlet (deep fried cutlet), Tajima beef steak rice bowl, or a Tajima beef sampler plate (2 kinds of beef cuts). Lunch menu prices start at 1,500 yen. 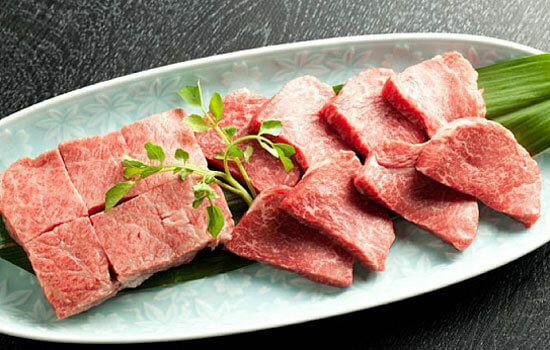 If you are feeling indulgent and want to really treat yourself, you can upgrade your steak to a tender loin or Chateaubriand steak (prices range from around 8,000 yen to 32,000 yen). The dinners here are going to be a little more luxurious than the lunches and the courses will require reservations in advance so that the chef can prepare the proper ingredients for you. 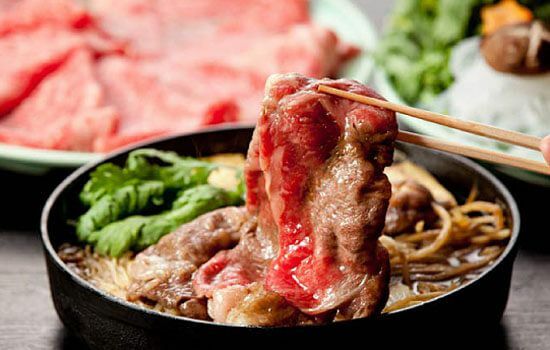 These specialty Tajima beef dinner courses are perfect for celebrating a special occasion if you are in Kinosaki for such a reason. If you are coming in on a whim without reservations there is the Tajima beef steak dinner set which is quite delicious, you can choose your own size steak (prime rib, tender loin, or Chateaubriand) up to 300g (Chateaubriand is offered at 150g or 200g, other steaks are 100g/150g/200g/300g). If you do get the chance to make reservations in advance you can choose from the “Tajima Beef Steak Course (above left image)”, “BBQ Course (above right image)”, “Sukiyaki Course”, or “Shabu-shabu Course”. Needless to say, all of the courses feature Tajima beef and come with rice, soup, salad, a side, and dessert. Mikuniya contracts and purchases half of a pure bred Tajima cow that has been bred, raised, and fed at Ueda Chikusan in the neighboring town of Muraoka. Ueda Chikusan has years of experience breeding and researching Tajima beef and is known for their award winning cattle. Cattle from here are known as “Tajima Gen”. 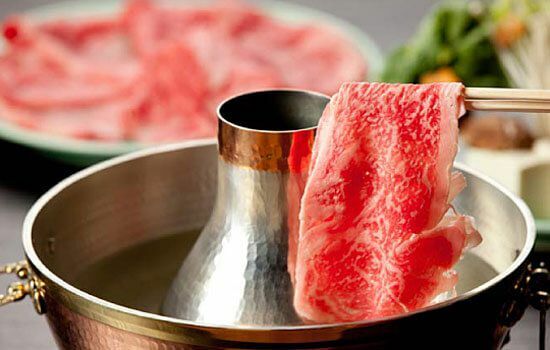 This meat is characterized by its fat, which melts at a lower temperature than average Wagyu beef. This fat is a bit smoother and healthier which makes the meat taste “lighter”, in turn making it easier to eat. 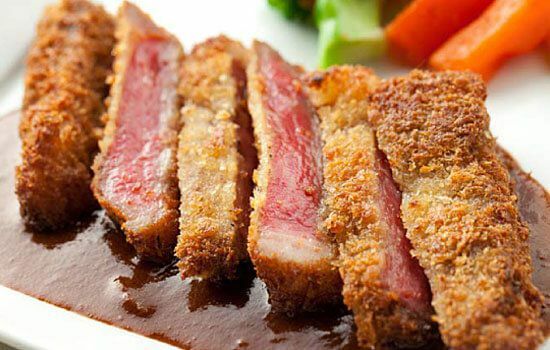 In fact, this meat tends to be easier on the body and causes less or no heartburn even for those who tend to experience heartburn after consuming rich fatty meats. Locally grown wasabi for a simple accent flavor. 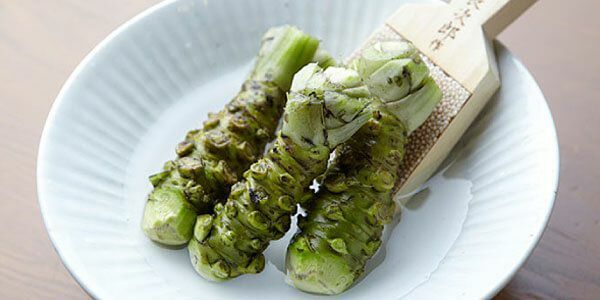 The freshly ground wasabi is grown locally the same way it has been for the past 300 years. Before you dip your meat into the sauces provided, try it with a little bit of wasabi first. You will be pleasantly surprised by the “sweet” flavor of the wasabi that compliments the rich meat. The “irori” in the restaurant’s name is Japanese for hearth. The beef is cooked over a charcoal hearth and even the charcoal is produced locally. A local charcoal craftsman travels into the local mountains to cut back trees that are overgrown, a procedure done to “protect” the mountain. 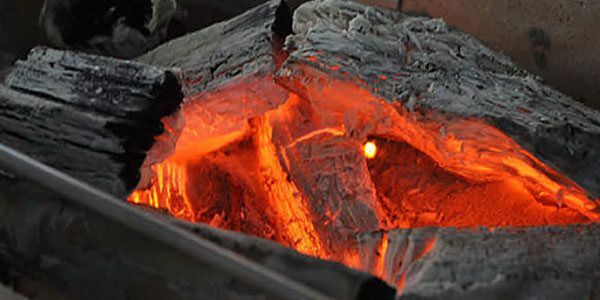 The harvested wood is then processed into charcoal which is then used by the restaurant to cook its specialty beef to give it an extra juicy flavor. Closed every Wednesday unless it is a national holiday then we will be closed the next day (Thursday). Irregular Holidays. Table and counter seating, a stylish and relaxing space atmosphere. Tajima beef steak set, Tajima beef curry set, Tajima beef stew set, Tajima beef cutlet set and others. Credit cards accepted on purchases of 10,000 yen or more.